When it was introduced in 1797, during the French Revolutionary wars, the financial situation at the Bank of England was precarious: gold was in short supply and banknotes were given legal tender status in any amount. In order to pay the Bank's dividends it was decided to produce what at the time was known as seven-shilling pieces, with odd amounts of the dividend being paid in silver coins. 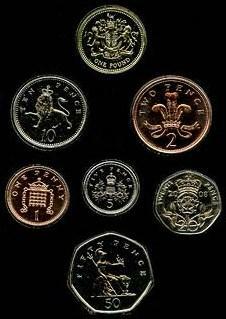 A total of £315,000 worth of coins was authorised in October 1797. The denomination was struck each year until 1813, with the exception of 1805, 1807, and 1812. Between 1800 and 1812 third and half guineas were the only gold coins issued. The coin weighed 2.8 grams and was 17 millimetres in diameter with a milled edge. The design of the reverse changed in 1801 following the union of the parliaments of Great Britain and Ireland, when simultaneously the king relinquished his claim to the French throne (some four hundred years after it had ceased to mean anything). There were two obverses used, with different portraits of the king (the new one being introduced in 1804), with the legend GEORGIVS III DEI GRATIA. The design of the reverse was a crown, with the legend MAG BRI FR ET HIB REX date (to 1800) or FIDEI DEFENSOR BRITANNIARUM REX date (from 1801). ^ Peter Auber (1826). An Analysis of the Constitution of the East-India Company, and of the Laws Passed by Parliament for the Government of Their Affairs, at Home and Abroad: To which is Prefixed, A Brief History of the Company, and of the Rise and Progress of the British Power in India. Kingsbury, Parbury, and Allen. pp. 155–. The Spur Royal was an extremely rare English gold coin issued in the reign of King James I. The coin is a development of the earlier Rose Noble, or Ryal which was worth ten shillings when issued by Kings Edward IV and Henry VII, and fifteen shillings when issued by Queens Mary and Elizabeth I. The Triple Unite, valued at sixty shillings, 60/- or three pounds, was the highest English denomination to be produced in the era of the hammered coinage. It was only produced during the English Civil War, at King Charles I's mints at Oxford and, rarely, at Shrewsbury in 1642. It weighed 421 grains. The Rose Ryal is a gold coin of the Kingdom of England issued in the reign of King James I and is now very rare. 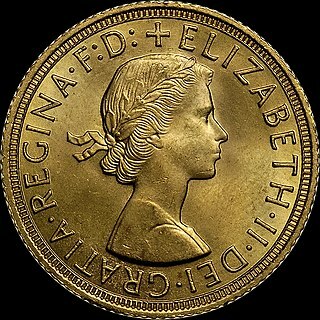 The coin is really a two-ryal coin worth thirty shillings and is a development of the earlier fine sovereign of Queen Elizabeth I.